For families with very young children and up! Ms. Barbi Beyer is skilled facilitator in providing an interactive and fun family music experience that engages all aged children and their families. Barbi will help you make a simple marine themed music shaker with your child, to be used during the show and taken home! 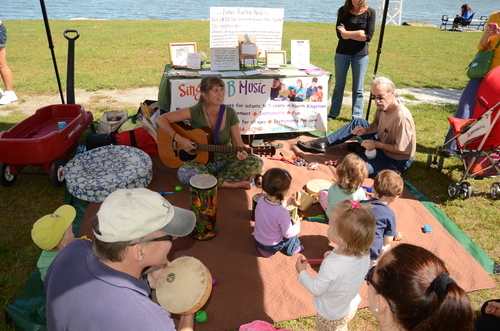 She will then lead an interactive family sing-along concert, including a musical story about the Little Red Hen and some songs that include sea creatures.